The spiderweb stitch pattern works up into a versatile set of place mats that may be used in any table setting from casual to formal. 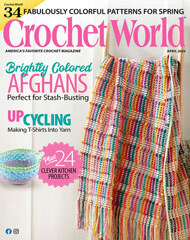 This e-pattern was originally published in Crochet Around the Home. Size: 21" x 16 1/2". Made with light (light worsted) weight yarn and size B (2.25mm) hook.